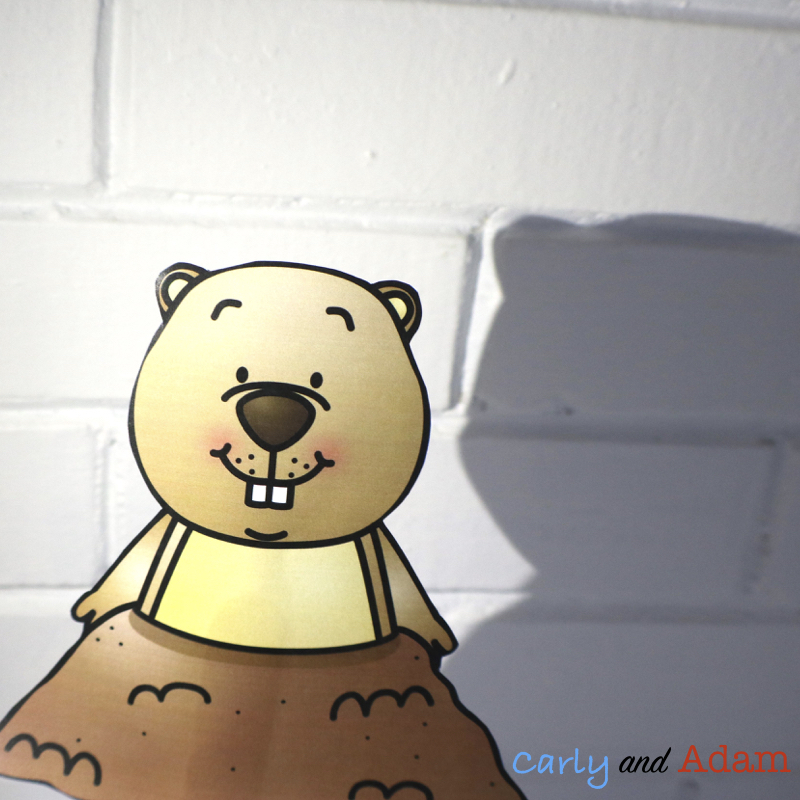 While completing the investigation students will shine a flashlight on each side of the groundhog and observe if they think he can see his shadow. Students will record and discuss their observations in small groups. Before completing the activity review the following vocabulary words with students: light, shadow, opaque, transparent, and translucent. Vocabulary cards are included in our Groundhog Day STEM Activity Pack along with in-depth teacher instructions, student instructions, prediction pages, recording pages, and reflection pages.